Thus far, I've checked out dystopian films that used the environment to set up a high-flying action film. That changes with my last installment, which goes back 42 years to a time of sci-fi that focused on ideas. 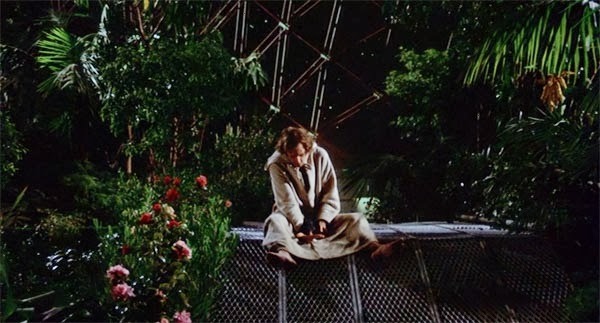 Arriving in the heyday of the environmental movement during the early '70s, Silent Running makes a impassioned plea to save our world before it's too late. I'm not sure we listened, though at least we're still living on this planet. Bruce Dern's Freeman Lowell isn't so lucky. This Christ figure is willing to sacrifice himself if he can save the domed forests. The question is whether anyone in his universe cares about his pleas. 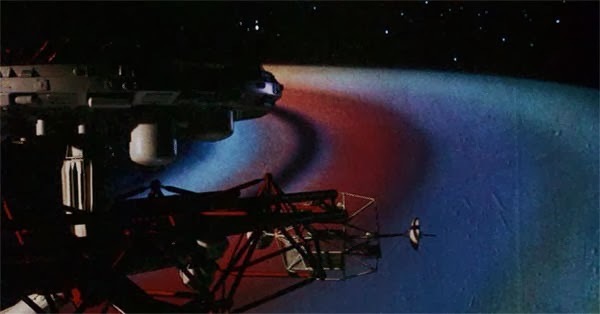 This is Douglas Trumball's first time behind the camera, though he did work on the special effects for The Andromeda Strain and 2001: A Space Odyssey. He's hardly a household name but shows an eye for the impressive effects in this $1 million production. 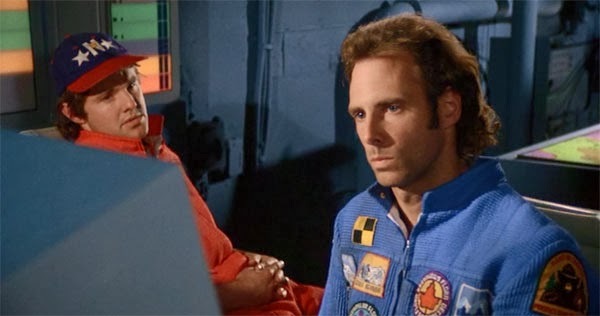 Freeman Lowell (Bruce Dern) works as a botanist and maintains the plants in the domes of the Valley Forge spacecraft. There are no plants on Earth anymore, and he longs for their return to make his planet beautiful. When his superiors order him to destroy the domes, he goes rogue and embarks on a daring journey to keep his hopes alive. We never visit Earth and receive a limited perspective from the confines of the ship. That situation makes sense, and Lowell and his fellow ship mates feel like factory workers doing a job. They're subject to the announcements from their unseen liaison with the bosses. This rings true with many employees forced to do things that go against their conscience while working for corporate bosses. Their only companions are miniature robots that work on the ship. Freeman names that Huey, Dewey, and Louie, and they feel similar to John Crichton's little robots on Farscape. They're easily damaged and don't seem like the most effective use of robot technology, but they do create cute buddies to keep Freeman company. 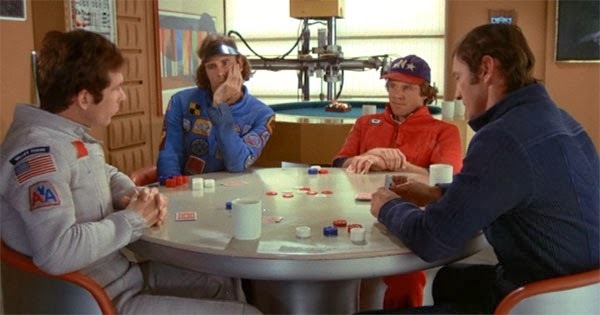 Few movies are more heavy-handed about their predominant themes than Silent Running. It was written by the ridiculous trio of Michael Cimino (The Deer Hunter), future TV show runner Steven Bochco (Hill Street Blues), and Deric Washburn. They craft a story that's designed to talk directly to the audience on environmental responsibility. When Joan Baez sings earnest tunes over the soundtrack during the action, it's impossible not to read this story as a modern parable. In an uncaring world dominated by corporations, Lowell is the individual who must stand up to the man and stop the destruction. His robes look Christ-like, and there's a sense that this guy is the only person who sees beyond the basic reality. This movie is all about Bruce Dern and whether his over-the-top character is believable. His three ship mates (including a young Ron Rifkin) are gone pretty early, and most of the story involves just Lowell and the robots. Dern's bonkers performance includes plenty of moments where he speaks to no one and drifts on the edge of sanity. Charlton Heston employed a similar approach in The Omega Man one year earlier. Duncan Jones' Moon also put Sam Rockwell in this type of situation, though with less preaching. Dern's role is memorable, though hard to take seriously. His antics draw more laughs than tears. 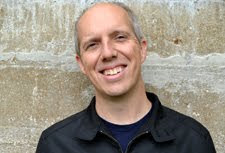 On the surface, the Valley Forge and daily life for Lowell and his buddies is convincing. The model work is surprisingly effective, and the Saturn sequence includes some impressive footage. The issue is that it's such a transparent message film that it's hard to get too invested in Lowell's plight. Coming a few years after Easy Rider, this movie takes a one-note approach to the environmental movement. If we save the plants, everything will be great! I'm a big supporter of making sure we protect the Earth, but I'm not sure that Silent Running accomplishes much more than providing some chuckles. It's probably a cynical view, but the main draw is watching Bruce Dern go over the top. He throws everything he has into the fiery speeches, though they fall on deaf ears in this uncaring future universe. I was way more enthusiastic about this film than you are, but maybe I've listene too much to Mark Kermode; it's one of his favourite movies. Like you I was charmed by the robots and I've alwasy loved the one-man-on-an-island-in-space theme wherever in movies. The special effects are lovely, with the usage of miniature models instead of today's computer feast (I especially loved the long distance shots of the ship in space). There's only one thing in this film that I found a little hard to embrace: Joan Baez singing. I've never been a big fan and it felt like somone was drilling my teeth. Jessica, I can totally see why you'd like this movie, especially thinking about your tastes in general. I did like it overall, particularly the model effects in space and the robots like you mention. I rate the movies I watch on Letterboxd as a lark, and I moved this up from 2.5 to 3/5 after I thought about it while writing the review. What I didn't find as enticing was the heavy-handed message. While I agree with its point, it was a bit much. And the Joan Baez singing is pretty painful. Even so, I'm glad that I caught up with it finally! I will agree that this has the subtlety of a sledgehammer, but I kind of like it. There's a beauty to the idea that I appreciate, and I rather like the ending. I agree completely on the Joan Baez. That's a significant low point. I can understand the appeal. It's sci-fi before Star Wars, and the miniatures look surprisingly good. While I agree with the points of the movie, I just wasn't engaged enough to really get that thrilled about it. Does anyone like the Joan Baez songs?